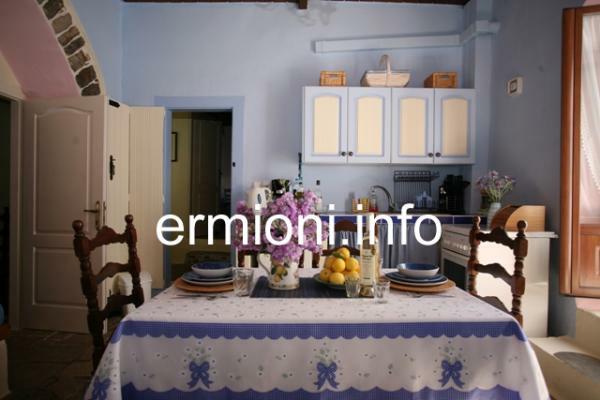 LemonTree House is a mid-17thC Greek village house, ouzing with character and situated in the charming historic Old Village of Ermioni, which is within walking distance of all main and local amenities in Ermioni. Very central to all places of interest, including beaches and historical sites which go unmentioned in many guidebooks. It is a house full of history dating back several centuries and this gives it a delightful authentic feel. The accommodation is situated on the ground floor only. The ground floor accommodation has 2 bedrooms, 2 bathrooms and an additional 2 Greek style bed settees. It is beautifully presented and well equipped, but its surrounding are also wonderful, especially if you want to get off the beaten track and experience the life of a real Greek community. Being in the heart of the village and close to the sea, gives you every reason to come and stay here and enjoy a great holiday in an unspoilt part of Greece. Being undiscovered by mass tourism, Ermioni is still very much a working community, whereby everything is open all year round. The climate is great, even in winter. The house is ideal for families, couples or friends. The accommodation offered is on the ground floor only of this historic house and includes many modern comforts: central heating, inverter air-conditioning, ample hot water, shuttered double-glazed windows with fly-screen netting. The owners live upstairs and will make you feel very welcome and are available for any needs that might arise. Two twin bedrooms with two shower rooms, one shower room is en-suite, and 2 single beds in each bedroom. Both bedrooms have ample storage space in each, inverter air-conditioning, or ceiling fans. An extra fold-up bed could be accommodated in one of the bedrooms for a fifth person. A cot is available for an infant/baby if required. The fully equipped dining kitchen has a full working cooker, a small fridge with small ice box, fitted cupboards, kettle, coffee maker and invertor air-conditioning. 2 Greek style bed/settees compliment this area, which can be used for relaxing, or a further one/two people could sleep on these. Double glazed doors lead to a small private courtyard filled with flowers. Guests also have their own private entrance which leads into a large hallway, which has books for holiday reading. A further larger courtyard is available for guests to use, but it is shared with the owners and a couple of friendly cats. There is no washing machine, but the owners will do all personal laundry free of charge. Being in a village gives you the opportunity of sampling everyday Greek village life, which can be wonderful. Walk through the village and see some of the locals go about their everyday lives, who will great you with a welcome "Yassas". Visit the local fruit shop, the village mini-market or the friendly butcher, who will always serve you with a smile. Visit the two village churches which are really beautiful, or if time permitting, attend a service, or have the opportunity to participate in a religious festival. The beauty of Ermioni is that it is a working Greek community, so most facilities are open throughout the year. It has one of the best all year round climates, although during the summer months the temperatures are very high, hot and humid, yet the winters are mild and sunny, with clear blue skies. 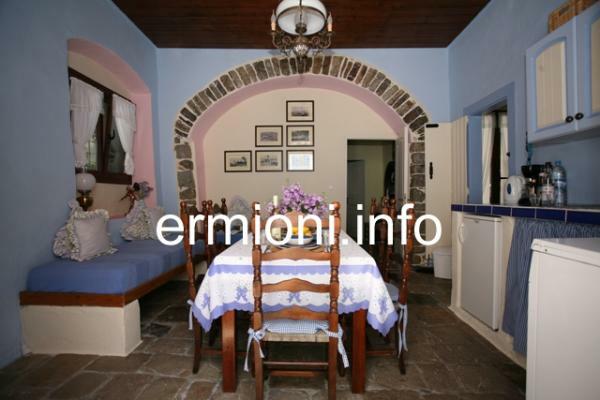 The other important factor is that little has changed in Ermioni over the last number of years, both in its appearance and in continuing to keep the local civic, historic and religious festivals and traditions alive, especially to the growing younger generation. 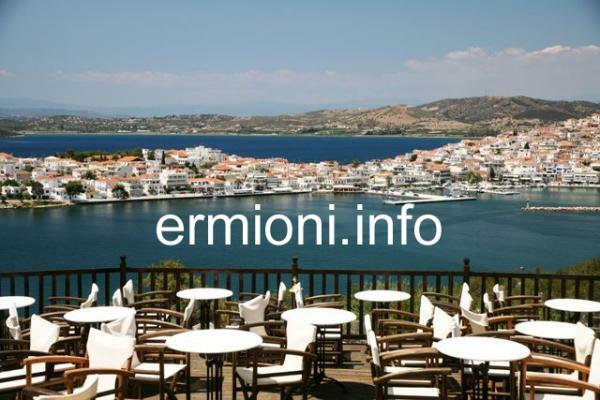 If you wish to know more about Ermioni and what there is to see and do, then please do visit Ermioni and Places to visit, where you will find a wealth of information about Ermioni and the surrounding area. A car hire is advisable. 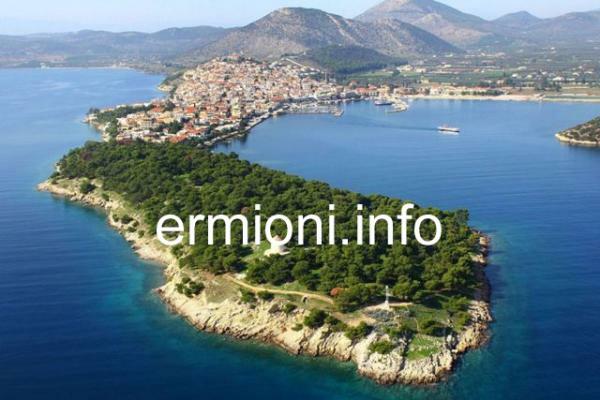 Visit How to get to Ermioni for details on various travel options including car hire. Provisions will be left for all guests upon arrival, including a comprehensive information pack, with maps. The owners live upstairs in this village house and will be available for any needs that may arise. They will make you feel welcome. Don't just think about spending your holidays in Ermioni during the height of summer. During the winter months, the weather is pleasantly warm and ideal for exploring. Ermioni is still the unspoilt Greece!